It’s very clear what hardware pulls ahead. The shocking part about the Scorpio’s hardware upgrade is not just how thoroughly it is an upgrade over the existing Xbox One hardware, which was never all that impressive to begin with, but also something like the PlayStation 4 Pro- which until now has been the strongest home console available on the market. In every way possible, the PS4 Pro (and by extension the original PS4 too) is trounced by the Scorpio. 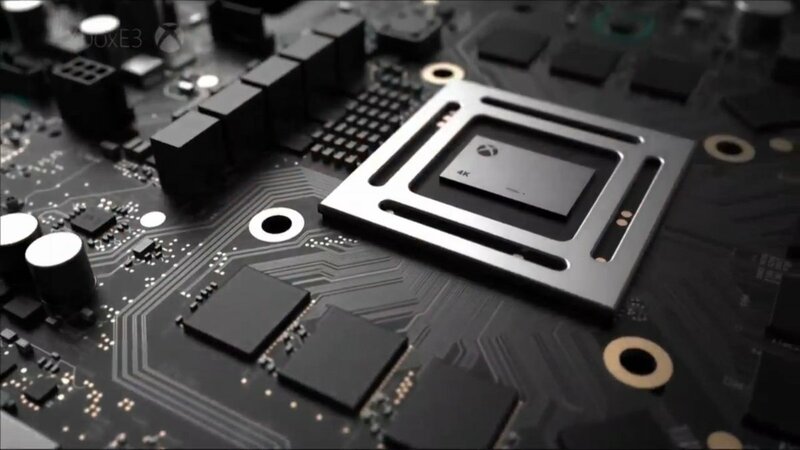 The biggest gains are, again, in terms of the memory- Scorpio benefits from a staggering 12GB of unified GDDR5 RAM, with a memory bandwidth of 326 GB/s. The PS4 Pro, on the other hand, comes up short with only 8GB of GDDR5 RAM, at a bandwidth of 218 GB/s. The GPUs match up similarly- the Scorpio’s 40 customized compute units at 1172MHz pull up ahead of the PS4 Pro’s 36 improved GCN compute units at 911MHz by a long shot. The closest the two machines get at all is in terms of the CPU (which, again, makes sense, given that the CPU is the least thorough update the Scorpio has received over the original Xbox One hardware), with the Scorpio’s eight customized Jaguar cores clocked at 2.3GHz coming in only slightly better of PS4 Pro’s eight Jaguar cores clocked at 2.1GHz. On the whole, though, it is clear that the Scorpio is a far more thorough upgrade than the more conservative PS4 Pro ever was- Phil Spencer wasn’t lying when he said he didn’t want it to be a half step, that’s for sure. Now we need to see how developers utilize its hardware.